Information: Esther L. Nelson, author of books and music about folk dance and song. Dance, sing, and listen. Nelson, Esther L. Dimension 5, 1963, 1983, 1987. Dance to the music. Nelson, Esther L. Dimension 5, 1972, 1983, 1989. Dancing games for children of all ages. Nelson, Esther L. Sterling Pub., 1973, 1978, 1983, 1984. Everybody sing & dance. Nelson, Esther L. Dimension 5, 1988. Instructor's book 1989. Funky doodle; new country dance. Nelson, Esther L. Dimension 5, 1976, 1983. 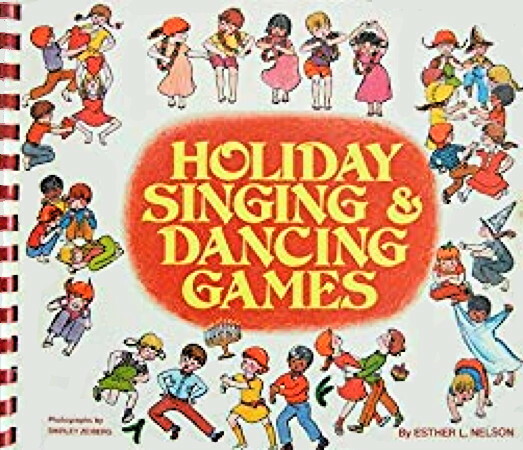 Holiday singing and dancing games . Nelson, Esther L. Sterling Pub., 1980, 1982. Movement games for children. Nelson, Esther L. Sterling Pub., 1975, 1976, 1977, 1981. Singing and dancing games for children. Nelson, Esther L. Sterling Pub., 1977, 1982, 1986.